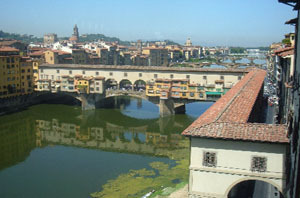 Florence as never seen before discover at a glance all our proposals to visit this beautiful city. Incredible views of the city’s architectural treasures such as the Duomo, Ponte Vecchio and Piazza della Signoria, and the masterpieces preserved in its over-the-top museums such as the Uffizi, Galleria dell’Accademia, Pitti Palace, Bargello, and many others. Discover our tours in Florence, that will unveil you the very best of the city without the hassle. 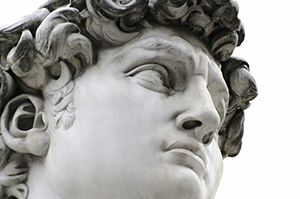 Visit Florence Duomo, the Uffizi Gallery and Michelangelo’s David without having to wait in line on our Skip the Line Access. Small group sizes, expert, English-speaking guides and headsets for every guest mean that your Florence tour will be a completely stress-free experience. 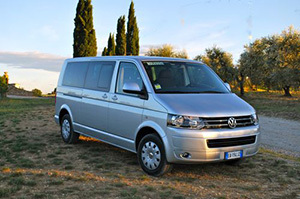 Meanwhile, our half/full-day trips from Florence to Tuscany offer a chance to escape the city for the day, visiting Siena and San Gimignano, Lucca, the Leaning Tower of Pisa and the beautiful Chianti wine region. For first-time visitors our Best of Florence walking tours offer a complete view of the city, from the Ponte Vecchio to the Accademia Florence, home to Michelangelos David. 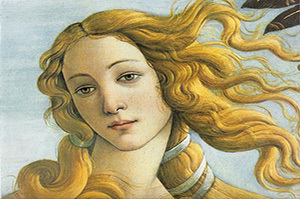 Meanwhile our Full-Day Best of Florence Tour includes an Uffizi Tour, visiting the Botticelli Rooms and the Birth of Venus, among other incredible works in the world famous Uffizi, Florence. For something a little different, opt for our specific tours dedicated to Palaces or experiences Art & Craft, Mystery tours. 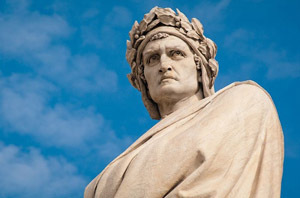 A story of treachery and treason, before the Rennaissance made Florence Italy one of the world’s most cultured cities. All of our tours in Florence Italy include expert, English-speaking guides as standard and headsets, so you can always hear your guide. We also include Skip the Line Access to the busiest sites of the city such as the Accademia Florence, the Uffizi Florence and Florence Duomo. 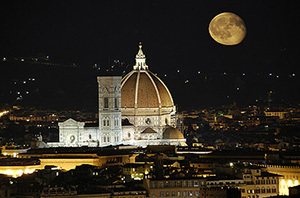 For more information, just contact us, we will very happy to recommend the best Florence tour for you! A morning Tour of Florence to discover some highlights including Piazzale Michelangelo, Duomo, Giotto Bell Tower, Baptistery, and the Accademia with Michelangelo’s David. A complete afternoon tour of some of the best Florence’s Masterpieces: a beautiful view from Fiesole Hills, Basilica of Santa Croce and Uffizi Gallery with “Birth of Venus”. A full day Tour of Florence to discover Piazzale Michelangelo, Duomo, Giotto Bell Tower, Baptistery, Fiesole, Santa Croce, Piazza Signoria, Palazzo Vecchio. 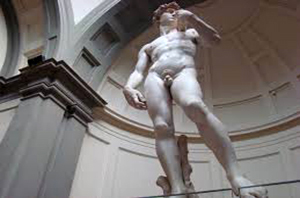 Include visits to the Accademia with Michelangelo‘s David, and Uffizi. A walking tour downtown, through the most famous sights and a visit to the most important Museums in the City: Galleria dell’Accademia with Michelangelo’s masterpieces, and Uffizi Gallery one of the top Museums in the World. A not-to-be-missed opportunity to combine the visit of two among the most important sites in the world. An emotional itinerary through art masterpieces and breathtaking views over the Arno river and the City. An exclusive itinerary amongst the magnificent beauty of invaluable paintings and art masterpieces along with splendid views of the city ending up with the discovery of one of the most famous Gardens in the world. The tour follows the path of Robert Langdon in Florence, as read in the latest novel by Dan Brown: Inferno. Discover the original locations and enter in some of the most amazing, mysterious, and famous places in Florence. Follow the path to the emotional discovery of hidden places of the ruling body of the Republic of Florence, this massive, crenellated fortress-palace is among the most impressive town halls of Tuscany and one of the most significant public places in Italy. 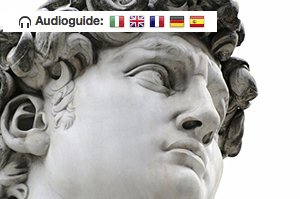 Discover the Accademia Gallery with Michelangelo’s David and other masterpieces. 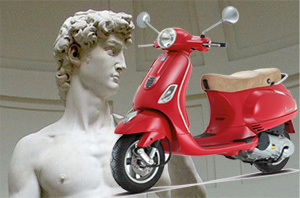 Florence most famous museums Guided Tours – Skip the long line. 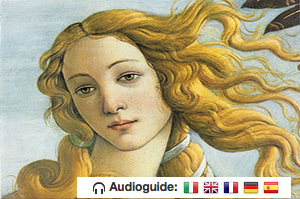 Discover the Uffizi Gallery with Botticelli “Birth of Venus” and other masterpieces. 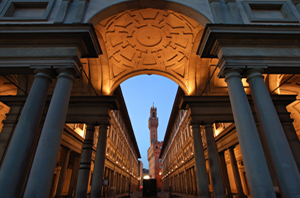 Florence most famous museums Guided Tours – Skip the long line. If you wish to visit the Museum in total freedom and at your own pace, you may book the Ticket plus audio guide with a multilingual recorded commentary made by expert guides. 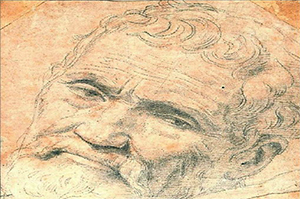 Michelangelo lived and worked in Florence for more than 30 years: discover all his works of art and be thrilled by this fascinating artist! 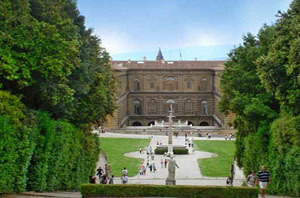 Visit the Santa Croce Basilica, the Bargello Museum and the Casa Buonarroti. 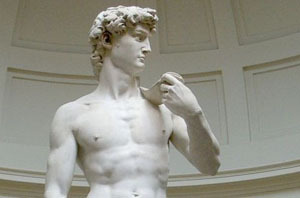 The famous David and many other works. 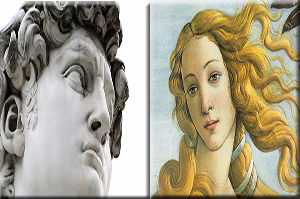 Do not miss this tour dedicated to one of the greatest Italian Renaissance artist and its masterpieces. 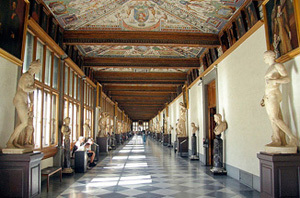 Visit the Accademia Gallery and the Medici Chapels with a private guide. Visit the Uffizi Gallery at sunset, taking advantage from …. less crowd. You may choose a plain Visit, or add an Aperitiv or a three Course Dinner, both with a superb view. 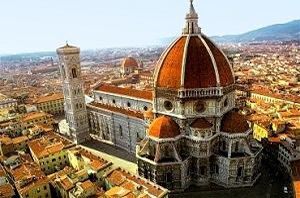 Enjoy Florence and the panorama of the city from a unparalleled view: the magnificent Cathedral, Baptistry, climb on the Giotto Bell Tower and on the beautiful Brunelleschi dome. Only for the toughest ! A walking tour to discover Oltrarno’s gems: The exclusive handcrafted products and wonderful masterpieces of the past and present. 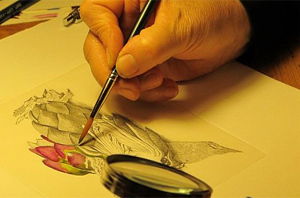 Extraordinary workshops where craftsmen still produce marvelous handicrafts. Plus Church of the Santo Spirito with works of Brunelleschi. 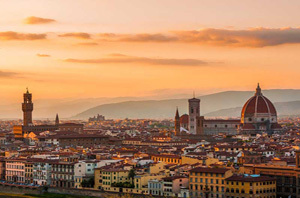 Discover Florence as the Capital of Art, Beauty, Fashion & Flavor. Visit the Santa Maria Novella Church, with works of Ghirlandaio, the famous Officina of Santa Maria Novella with Museum, Sacristy and the Old Pharmacy, with its unique perfume workshop, plus Gucci or Ferragamo Museum. 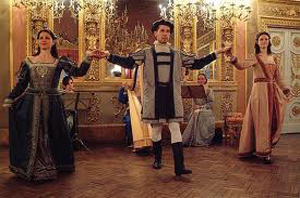 The Magic of an ancient night at court in a XVth century Palace, with music from harps and flutes and a sumptuous Banquet. 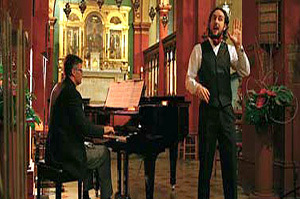 The Music of a romantic Italian Night: A special dinner along with famous Opera Arias and Neapolitan Songs. Pizza discover all Secrets ! 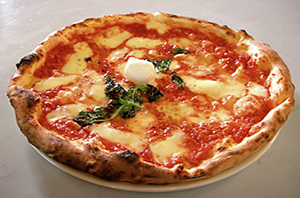 Pizza, Ice-cream, Chocolate Cake and Sorbetto – Cooking Course with Dinner, Learn how to prepare a typical Neapolitan Pizza and a delicious Ice Cream. 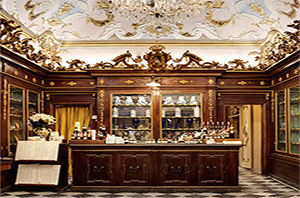 A Small group course for food lovers that is held in an old “palazzo” in the city centre. Learn how to cook a typical Tuscan meal. Dinner & Drinks included. 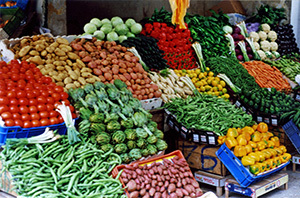 Choose at the Market in Florence fresh products and seasonal vegetables and then cook a typical everyday Tuscan meal. Lunch & Drinks included. Morning course. Are you a real sweet tooth? 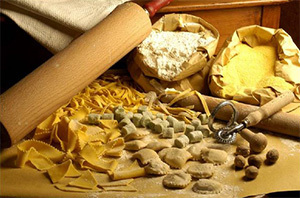 Do not miss this class: you will learn how to prepare (and eat) the best of traditional Italian sweets!. Lunch & Drinks included. 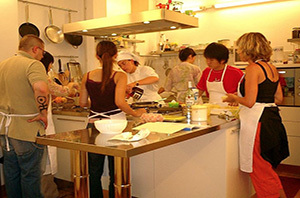 Handmade Pasta and typical Dessert Cooking Class with Lunch & Drinks. Experience a Hands-on Pasta Lesson and discover the secrets to preparing the most popular Italian dish! 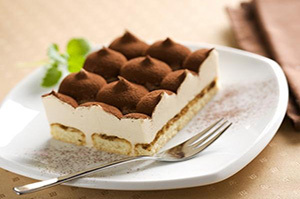 Tiramisu’: Italy’s most popular Dessert, learn how to do it in Florence! A Fun lesson, tasting and chat with friends, comfortably sat in a pleasant Florentine dining-room served with Coffee, Tea or Cappuccino. 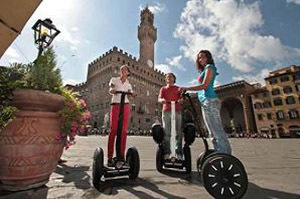 A must Segway experience with friendly and professional Guide. 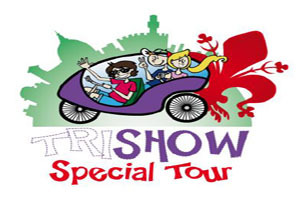 Do not miss the chance to visit this beautiful city in a eco-friendly and funny way ! A must Segway experience with friendly and professional Guide. Enjoy Florence with the evening light and discover the magic of this beautiful city! 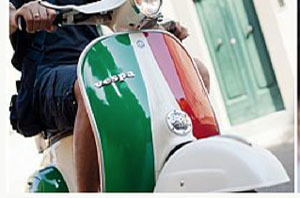 Ride your Vespa Primavera and relive the Italian lifestyle of the 60s. Enjoy a Chianti Wine Tasting with snack. Tours available in the Morning and in the afternoon. From Fiesole to Piazzale Michelangelo, with typical tastings an adventure between art, landscapes and Tuscan flavors. Tours available in the Morning and in the afternoon. A rental centre opportunely located in Florence specializing in Rental real & unique Italian new vintage style. Vespa, Scooters, Cars & City Bikes. 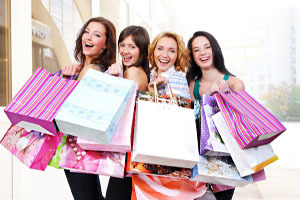 Don’t miss the shopping in some of the most well-known fashion outlets where the most prestigious Italian fashion brand items can be purchased at solid 30% to 50% discounts. 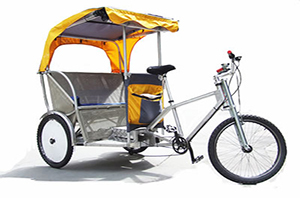 Visit the heart of Florence comfortably sitting in our modern Pedicabs. Our guide will take you to the most important and charming places telling you stories and anecdotes about the centennial history of the town. Discover Florence at your Leisure. Visit the heart of Florence comfortably sitting on our modern Pedicab. Choose your preferred route and visit the many historical locations in Florence and take your time. 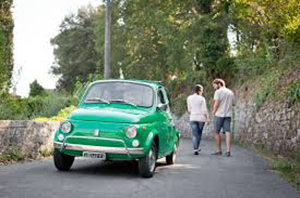 Driving this vintage car, you can experience the emotions of the past and get into the authentic Italian lifestyle. This is one of the reasons why this car is so loved and preserved into the heart of Italians.